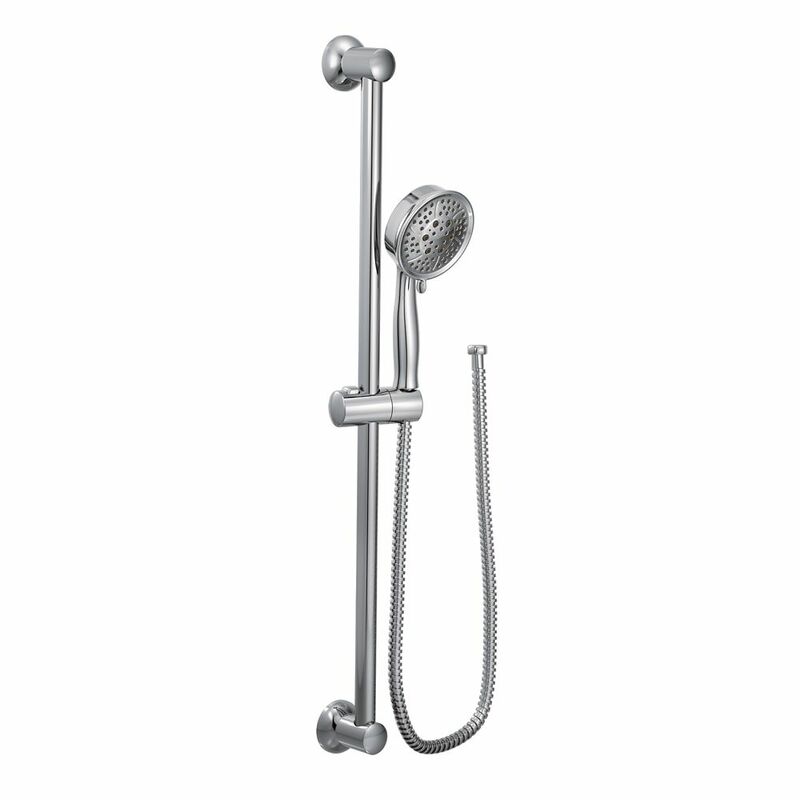 Chrome Eco-Performance Handheld Shower From finishes that are guaranteed to last a lifetime, to faucets that perfectly balance your water pressure, Moen sets the standard for exceptional beauty and reliable, innovative design. Chrome Eco-Performance Handheld Shower is rated 4.4 out of 5 by 28. Rated 3 out of 5 by LeslieE from The faucet looked nice and had a nice weight to... The faucet looked nice and had a nice weight to it. Not cheap or flimsy, but the water pressure was just terrible. Some of the options for spray were just dribbles of water coming out, nothing that would really even get my hair wet, let alone wash soap off. Had to return it. Rated 4 out of 5 by Patricia from Very please with the shower faucet.... Very please with the shower faucet. Rated 4 out of 5 by Joan1 from Love this product. It was easy to install and... Love this product. It was easy to install and looks great. I was very pleased with the 4-sprays. The only negative the handheld does not lift smoothly from the holder on the bar. Rated 5 out of 5 by Tink from Now one can shower without searching for the water to spray on them. Original shower head was at... Now one can shower without searching for the water to spray on them. Original shower head was at 92" from the bottom. Crazy but that is how it was set up.